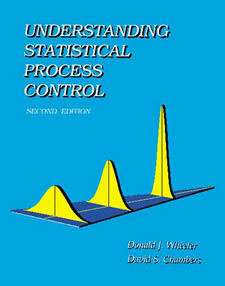 This internationally acclaimed textbook (often called the blue book) is widely used for teaching SPC and Continual Improvement techniques to those who work in manufacturing and process industries. Wheeler and Chambers distilled over 75 years of practical experience into this book by combining instruction with real-world case studies. Written in an accessible style using ordinary language, this book is appropriate for self-study. W. Edwards Deming wrote in his foreword, "It is fitting to add my deep appreciation for the mathematical achievements of Dr. Wheeler. His understanding of theory, and its application, is guided by mathematical knowledge."